As much as we love temporary stunts, happenings, art installations and large-scale sculpture in the urban space, we want more. 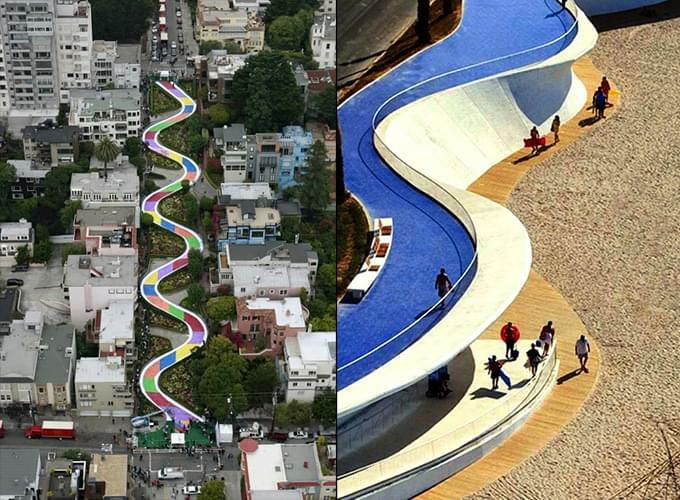 We are on a quest for truly transformed urban spaces. 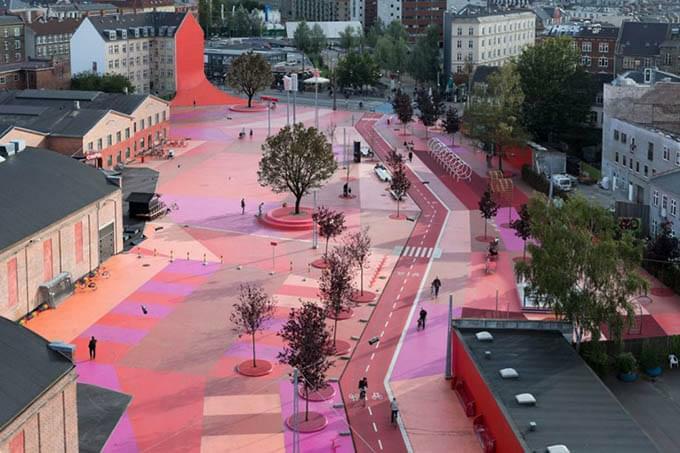 We are looking for instances where a council, city, town, municipality has taken the initiative, come up with the funds and actually transformed a mediocre, unused, ugly space into an inviting and fun public environment. The spectacular reincarnation of High Line in New York from an impossibility to a cool urban environment comes to mind. 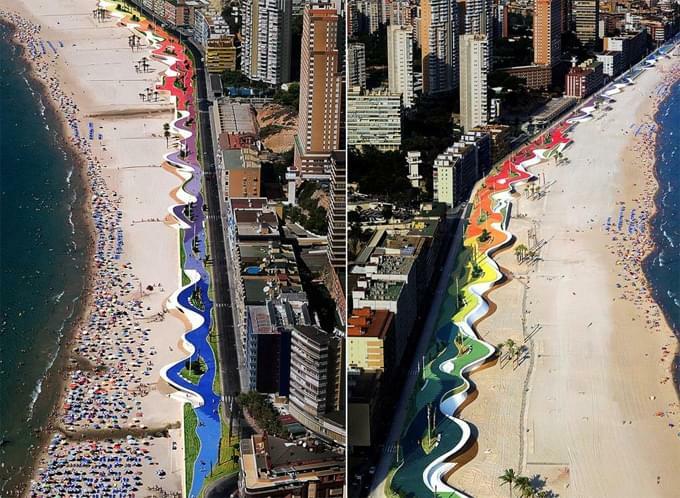 Or the transformation of an ugly view-blocking concrete barricade between skyscrapers and beach to a colourful seaside promenade at Paseo Marítimo de la Playa Poniente in Benidorm, Spain. 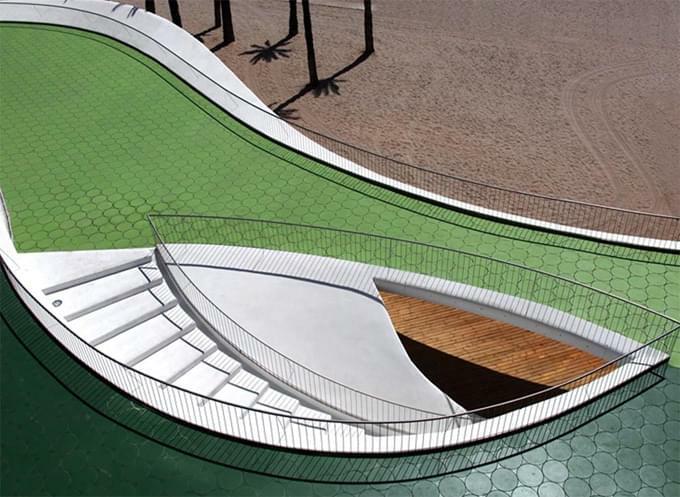 Or the 324 meter-long meandering bench (world’s longest, apparently) by Studio Weave on the seafront at Littlehampton in the UK. It is not just a bench, it is an experience and an environment. 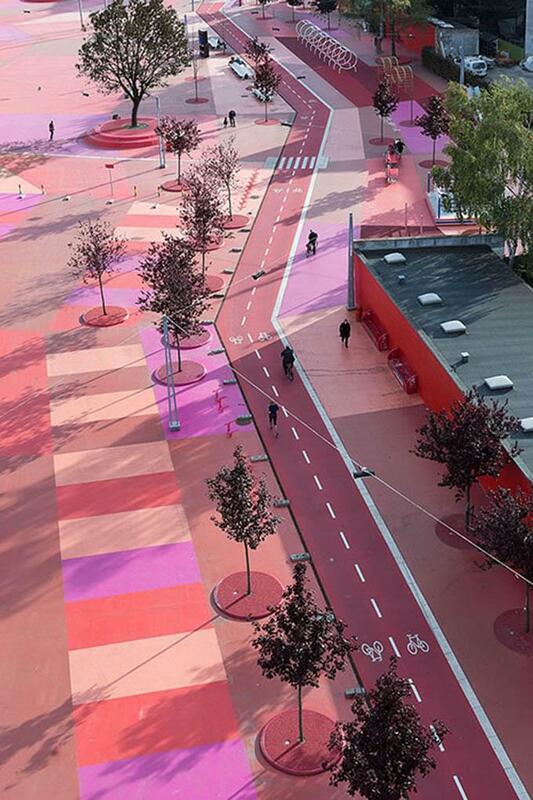 Or Copenhagen’s Skuperkilen neighborhood, where in a decidedly urban and straight-forwardly artificial way the designers and planners at Topotek1, Bjarke Ingels Group and Superflex invaded the entire available space to create a delightful expression of the various cultures and backgrounds represented by the area’s residents. 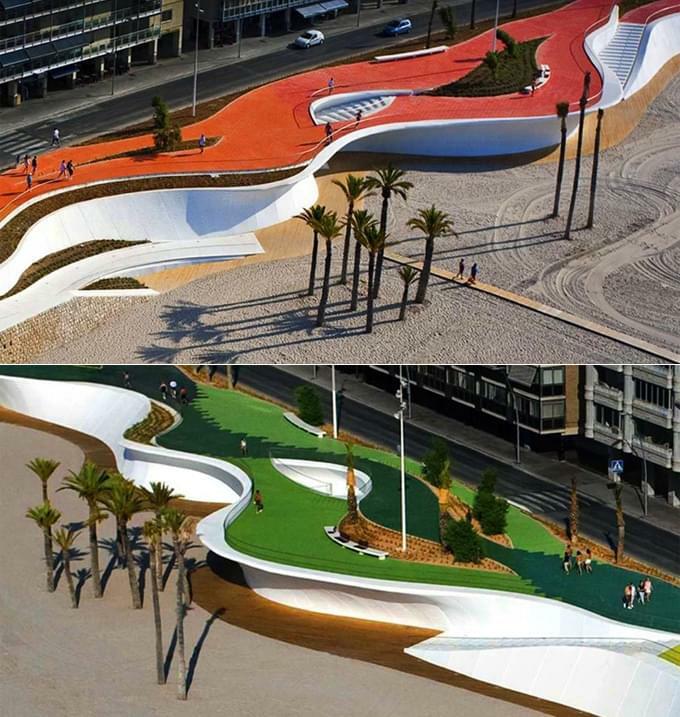 Superkilen received the Institute Honor Awards for Regional and Urban Design by the National AIA Awards 2013. We need more councils that have the vision and passion to do these things. We need people to demand and rally for them, and we need visionary designers, architects, planners and artists to design and propose and speak for them. Let’s just do it!.